Good sleep isn’t just a necessity in life, in fact it is way beyond than that. Good sleep alone is the cure to innumerable diseases and is also known to overcome depression in a number of individuals. In order to function efficiently every person must get quality sleep for a particularly defined amount of time. In order to ensure an efficient and sound sleep, there are a number of sleep ideas that must be considered. The first and the most important idea for a good nites sleep is a comfortable pillow. If you are also looking for the best pillow for you and couldn’t find one for yourself then this blog can surely help you. There are different types of filling within a pillow and the type of filling decides the type of the pillow. There are lots of different types of fillings. We like wool the best.These materials are generally comfortable and allows you to stay warm and comfortable during every type of night. Apart from that you can get pillows that have 100% organic cotton filling inside them. Size is one of the major factors that matters a lot when it comes to pillows. You can get pillows of various sizes in the market. Now, the size of your pillow can depend on different things, it can vary for different sizes of the bed, and it can also vary upon the size of your head. Apart from that pillows are of different purposes have different sizes. The way yo sleep is also very important aspect to consider. The way you sleep is essential to decide what will work for you. People who sleep on their stomach might look out for a flatter pillow that will help in keeping their neck aligned. 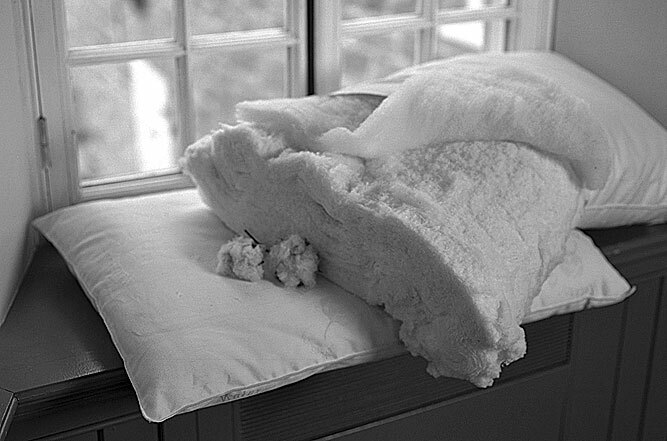 Side sleepers like medium wool pillows best from what we have seen. Kapok is also a good pillow to try. It feels like goose down, but it’s just the inside of the pods from a 350 ft tree in South America. The east coast organic mattress store is a major organic mattress and pillow dealer offering some of the finest organic pillows and mattresses in the country today.